Creating with Christine: Free, Free & Fabulous! Not only will you receive a cash rebate on the full cost of your kit, making it FREE, but you will also receive $100 in FREE product credit to get even MORE goodies! AND, not only that, but I also have a gift for you for reaching this goal too! So you can get over $500 in FREE products, plus your sales commission of at least $264 and a great start on a hobby or career that brings so much joy!! 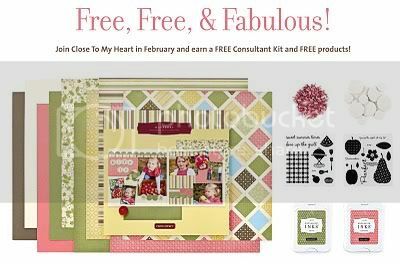 That makes this offer FREE, FREE, and absolutely FABULOUS!!! Want to see the FABULOUS choices you have for your kit? Click here to join my incredible team today! Or contact me to set up at time to chat and see if this is a good fit for you! I'd love to share more about this fabulous opportunity! Our New Spring/Summer Book is now available!